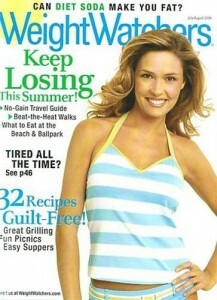 Discount Mags a has a great deal on Weight Watchers Magazine today! You can get a one year subscription for $4.50 when you use the coupon code SOUTHERNSAVE. You can get up to 4 years at this price. The magazine is really helpful for losing weight and staying in shape. It has recipes, tips, and more! The deal is available today, 8/19, only.